Some things on a bike can have a nasty habit. They may look different than you had imagined, bummer man... That's not what you will experience with a set of barrel styled Old School grips that breath Classic with a capital C.
These will look good from any angle, even in any color. Maybe it has something to do with the fact that Cole Foster, the almost legendary owner / designer of The Salinas Boys Customs, did the design. get 'm first, but that's easy. Contact your Motorcycle Storehouse dealer. 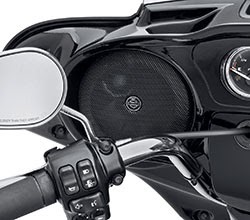 MILWAUKEE - The new Boom!™ Audio High Performance Speakers from Harley-Davidson® Genuine Motor Parts and Accessories are an instant audio upgrade to the Boom! 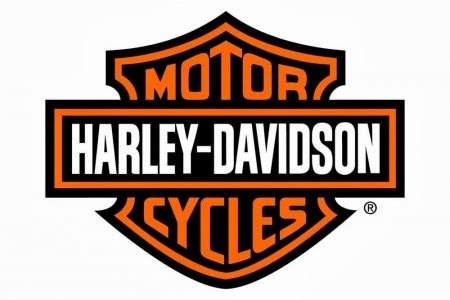 ™ Box infotainment systems on 2014 Harley-Davidson Touring and Trike models. The Boom!™ Audio 6.5-Inch High Performance Fairing Speakers (P/N 76000317, $199.95) and Boom!™ Audio 6.5-Inch High Performance Tour-Pak Rear Speakers (P/N 76000318, $$199.95) are designed maximize music volume and clarity in the harsh motorcycle environment. 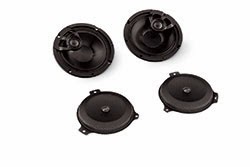 These two-way speakers replace the stock 5.25-inch cones with high-strength polypropylene 6.5-inch cones for improved low and mid frequencies, and have bridge-mounted damped soft-dome 1-inch tweeters for improved high frequencies. The cones and tweeters are tuned to help them sound good together. A composite frame and high-performance, light-weight neodymium magnets increase the speaker power-handling capabilities. The weather- and vibration-resistant speakers are protected behind perforated metal grills, and are a direct replacement for the Original Equipment speakers. The kit includes a pair of two-way speakers, electronic crossovers, metal grills, and a plug-in wiring connection. These speakers are backed by a two-year warranty.